Photo by Juan Suárez, taken from Havana Times. Iván García, 9 January 2019 — Already the roasted pig begins to smell and the kitchen is all hustle and bustle. In the background, against the wishes the younger ones who are asking to dance reggaeton with Chocolate MC singing Bajanda, the Brazilian Roberto Carlos is heard performing Details. The men drink rum in the patio and play dominoes, slapping their tiles down on a wooden board. Rosalía, a housewife of 78, acts as an orchestra director giving orders and ensuring that the kids don’t steal the sweets and pieces of pork from the oven. 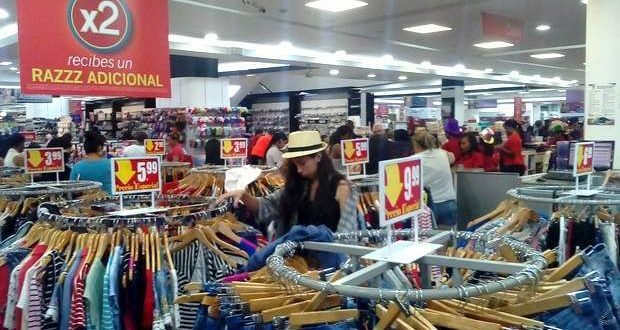 Like all Cubans, Rosalía complains about the daily hardships, the long lines and high prices of food. “Forget what comes out in the [TV] Noticiero and [newspaper] Granma. The cane is “three pieces.” Thank God that my children have good jobs and my family in the United States sends me some dollars. The government has no solution to our problems. Sixty years with the same deficit as always. If this revolution lasts a hundred years, those who are saved will be crazy,” she says with a smile. Niurka, a nurse, does not expect anything new for 2019. “The same old same old. Lines, shortages and the price of food through the roof. In sixty years we have healthcare for all, but the truth is that we lead an existence full of scarcities and discomforts. When there is bread, there are no eggs. Or vice versa. Or both are missing,” she complains while waiting at the stop for the P-6 bus to take her to her home in Reparto Eléctrico, south of Havana. I asked eleven Cubans born after Fidel Castro’s coming to power about their impressions of the event and how the extravagant tropical socialism affects their daily lives. Eight agree that every year that passes they live worse. Three have managed to prosper thanks to their work in the private sector. The list of positive facts is short. 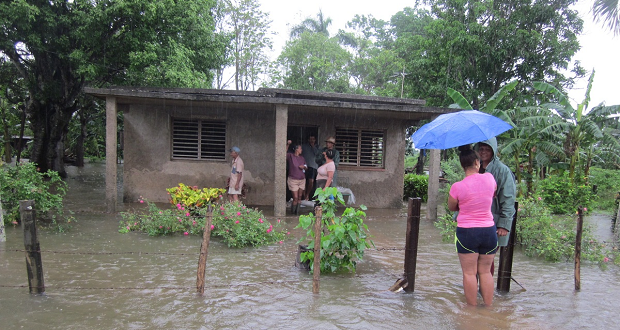 Education, public health, access to culture and sports and “a Civil Defense that works when there are cyclones; Cuba is one of the countries where fewer people die,” said one of the respondents. The inventory of negative situations is wide. The eleven people categorize the public services from regular to lousy and agree that getting food is the most serious of the problems. And they consider the housing shortage and the low salaries that condemn Cubans to live precariously, along with the lack of a future, as oppressive. The ruling caste thinks differently. They draw up plans for 2030 and in the future Constitution they have mortgaged the future, condemning the Cuban people to carry on for life with the inefficient socialist system. Six decades after Fidel Castro took office at gunpoint, most of his promises have been broken. From access to a home, decent salaries, to being self-sufficient in food production. In his extensive speeches, the comandante en jefe repeated that Cuba was going to produce so much beef, milk and cheese that the country would become a nation that exported those products. If a miracle does not happen, in 2059 one hundred years of the Castro regime will be celebrated. A number so round it is terrifying. Iván García, 12 November 2018 — Life always offers you an opportunity. When the father of Hector, a 31-year-old industrial engineer, died that afternoon in May 2015 in Miami, his family in Cuba began suffering material shortages. “The old man would wire 300 or 400 dollars every month and he would send us clothes and appliances through mules*. The wages of my mother, my wife and mine together amounted to $80. With the money that my father sent, we were able to repair the house and feed ourselves better. When he died, we asked ourselves what do we do now? We could sit idly by or plan some business to get ahead. We opted for the latter”, Hector recalls. “Not having a US visa, I opted for the Mexican and the Panamanian ones. With the first purchases I made, including the cost of airfare, lodging, food and customs taxes in Cuba and Panama, I earned $350. I resigned my job and I dedicated myself to ‘muling’,” says Hector. 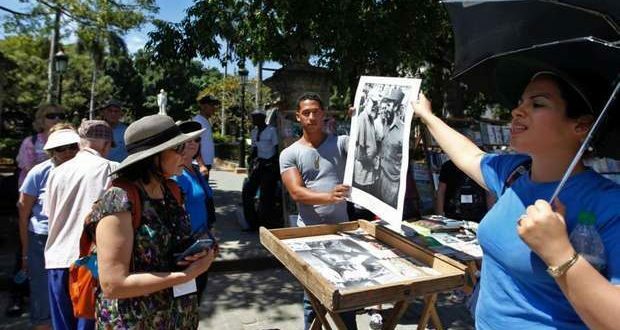 The migratory regulation approved in the winter of 2013 by the regime of Raul Castro opened a range of initiatives for a broad segment of Cubans. According to official statistics, more than half a million people travel abroad each year. 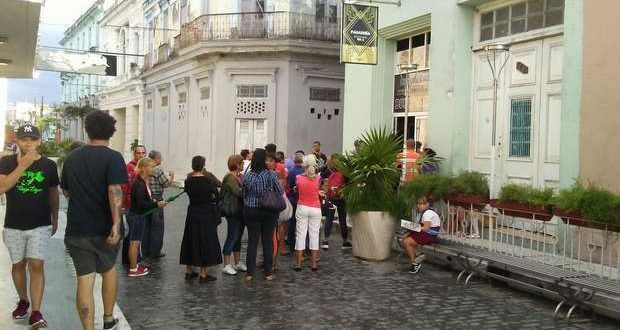 Between 70 and 80 thousand of those travelers dedicate themselves to regularly importing goods into Cuba. It is a buoyant business. All they need is a legal framework. The current status is an authentic legal limbo. The study details how these funds are distributed: $426 million for airfare, $472 million for lodging, transportation and food, $1.08 billion for purchases and between $52 and $58 million for the agencies that pack and then take care of the logistics to send the goods to Cuba. That amount of money would place it as the fourth largest national industry behind the export of medical services, family remittances and tourism. Economically it benefits those who are engaged in the movement of goods and also a growing percentage of avid local buyers. A notable segment of private entrepreneurs order their merchandise from the mules. “I bought the tableware, cutlery, lights and bar equipment from an acquaintance who regularly travels to Panama. The State does not have any institution that offers these services to the self-employed,” says Osmany, owner of a bar south of the capital. 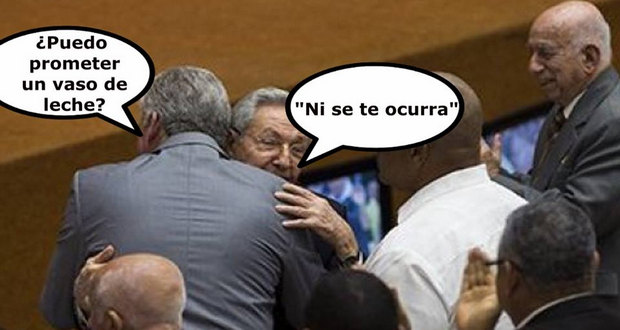 “How many millions does the Cuban economy lose because of the blindness of the decision makers? Could not CIMEX, TRD, etc., with more reasonable prices capture the foreign currencies that flow to the Panamanian economy? Can it be that it is cheaper to buy from those who mule from Panama due to the nonsensical 240% tax in the foreign currency stores and an obsolete and absurd pricing policy. Is our economy in a position to disregard this enormous potential? Today it is practically more profitable to buy anything in any place (Haiti included), paying for the passage, the visa, lodging, food and the customs tax than buying in the stores here. Has anyone among so many illustrious brains thought about these issues”, the commentator argued. Everything seems to indicate that no “illustrious brain” has thought about these issues. *Translator’s note: Cuban slang for those that travel overseas to buy goods scarce and/or expensive in Cuba to then resell upon returning to the Island. 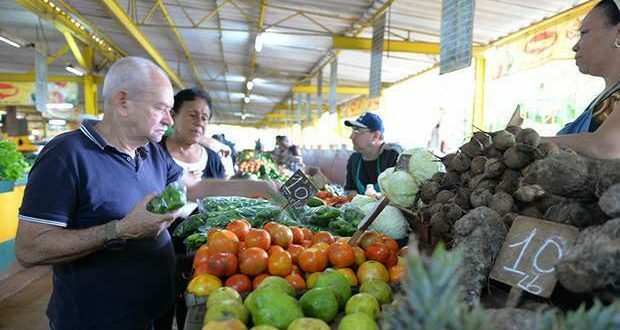 Ivan Garcia, 7 June 2018 — Despite the cloudy sky, the rains and the fact that the sun has been hidden for two weeks, the flow of people into the private farm market at 19th and B in Havana’s Vedado neighborhood does not diminish. 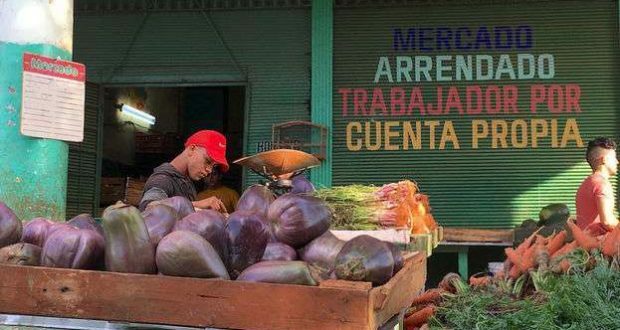 The market, painted green and yellow, with neat stalls and corny drawings of fruit, vegetables and pork legs on the walls, is probably one of the few places in Havana where you can buy oranges and grapefruit, citrus fruits that, at least in the capital, appear to be heading to extinction. But it is not only peanuts that have doubled its price in the last five years. 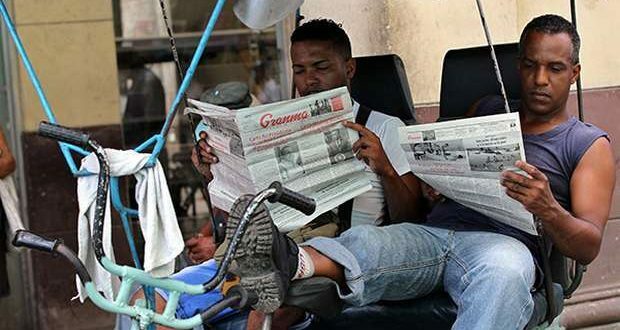 The official press, benevolent to the point of indolence, in its news and newspapers usually smothers Cubans with crop statistics and pork production records. According to the regime’s media, in 2017 more than 190 thousand tons of pork were produced and by 2018, 250 thousand tons are forecast. Putting four plates of food on the table in Cuba is a titanic task. 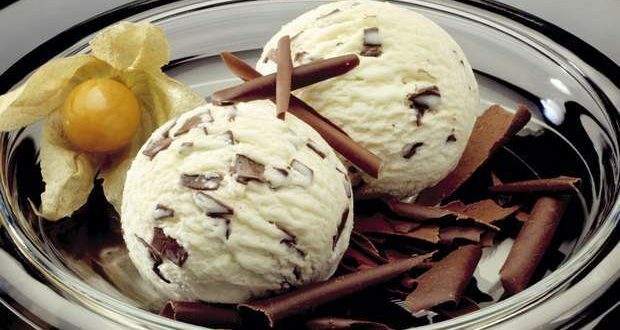 Relative to the prices of ten years ago, all food has gone up between 15 and 40 percent. 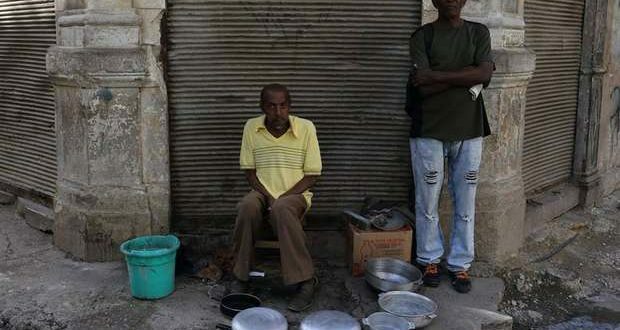 And in Cuba, people usually spend several hours scouring markets and stores in search of food. Sometimes they have the money but there isn’t any of what they are looking for. Or there is, but they do not have money or they do not have enough. Cubans want prosperity to be something more than a slogan of the regime. Curious onlookers near the site of the accident (Reuters, from Diario de Cuba). 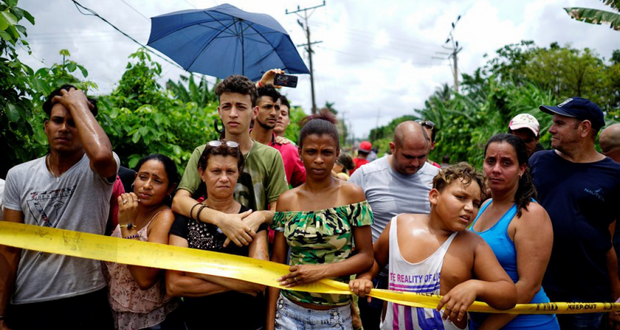 Iván García,22 May 2018 — Forty-eight hours after the tragic plane crash, the area where the Boeing 727-200 went down — the airliner had been leased by Cubana de Aviación from the Mexican company Global Air — is still cordoned off with yellow ribbon as dozens of crime scene specialists and civil aeronautics experts are examining the area. Three farm houses commandeered by investigators provide storage for possible evidence and serve as a makeshift command center. It is not difficult to find people who want to tell their version of the story. The first ones to arrive at the site were locals who live along the road that connects Boyero Avenue with the town of Calabazar as well as workers, technical school and pre-university students on their way to class, and passers-by waiting at a bus stop a stone’s throw from the domestic terminal of José Martí International Airport. “It was a carnival atmosphere, though there was a group of people who did take it seriously and acted responsibly. Others were holding mobile phones and filming everything. It was like they were going to a party. I stayed at the bus stop because I knew from the police show on television that the scene of accident must be preserved,” says Marta, a housewife who lives near the airport and was waiting for the P12 bus to Central Havana. 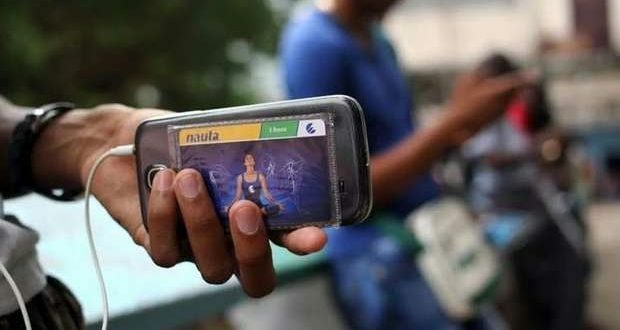 On the day of the crash dozens of homemade cell phone videos were already circulating on social media and among Havana residents. Catering to a morbid curiousity befitting a serial killer, videos with raw scenes of dismembered or burned bodies were being shared on IMO and Bluetooth devices. A young woman seated at an outdoor café on Boyeros Avenue shows a video in which a man tries to steal a wallet from a victim who was on the flight to Holguín. “He was taking advantage of the chaos. The guy was trying to steal suitcases and money. A policeman who had just arrived to help the accident victims was the one who arrested the thief,” she says while explaining the video. The first images broadcast on national television, whose minute-by-minute coverage was unusually extensive, and others like them circulating on social media show dozens of people contaminating the crash site. What is powerfully striking in the case of traffic accidents, building collapses and destruction caused by hurricanes is that there are citizens whose first response is to record the events with their cell phones rather than help the victims. The plane crash on Friday, May 18 in Havana poses new questions about the dreadful service provided by Cubana de Aviación, which is considered one of the worst airlines in the world. “It’s not just a matter of modernizing the fleet. It’s about having an adequate logistical base,” he says. 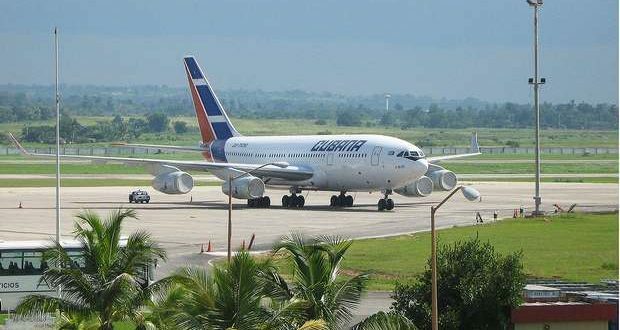 “Some accidents, like the one in Sancti Spiritus eight years ago and the one this time, have happened with rented planes. There is something suspicious about these rentals that I hope this investigation will shine a light on. No one knows why or how officials at Civil Aeronautics contracts with airlines that almost no one has heard of. Rumors are that money is being paid under the table. Cubana de Aviación has been under scrutiny for some time. One or two days before the accident involving the Boeing 737-200, First Vice-President Salvador Valdés Mesa held a working meeting with officials of the Institute of Civil Aeronautics. 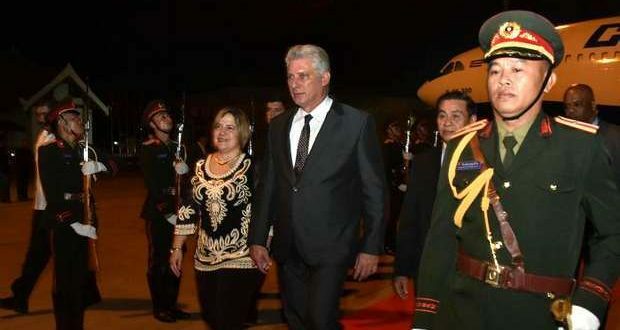 The incident occured a month after Miguel Díaz-Canel became president. We will have to wait and see if the new president, in addition to focusing on the filth in Havana, focuses his attention on conditions at this erratic state-owned company, which is also in need of a thorough cleaning. Or he could just cover up Cubana de Aviación’s garbage with a blanket of silence, as has happened so far.